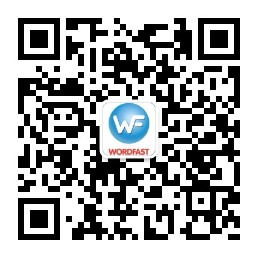 Wordfast Server (WFS) is a secure TM and glossary server application that you host to allow for real-time collaboration among globally distributed translators. Translators can connect to your TMs and glossaries with any of our client applications—WFA, WFC or WFP—to vastly improve consistency and efficiency. With Wordfast Server, internal and external resources are able to connect simultaneously to one or more translation memories, decreasing the amount of new content that needs to be translated and eliminating the need to align TMs at the end of a project. Sharing TM assets in real-time allows for maximum content re-use, which results in savings of 20% to 30% over desktop TM alone. Real-time access to both translation memories and glossaries ensures that all translators across your organization are using the most up-to-date translated content, thereby greatly improving the consistency of your translations. Wordfast Server's intuitive permission-based management system enables project managers and administrators to easily assign, modify, or remove rights of project participants. Wordfast Server offers the fastest search results in the industry and accommodates thousands of simultaneous users and millions of TM assets. Pricing is based on concurrently connecting users and starts at approximately €111 per month. For a quote, please click here. Click here to download our product brief! For more information or to request a free demo, please click here. Want to try it out on your own? Or watch a video on our YouTube channel.